It is with great sadness that we heard last week of the passing of Chris Spin stalwart Steve Ludlam. Steve had been a regular participant on the ride pretty much since the early days back in 2006. He passed away on 13 September from cancer after a short illness and leaves behind his wife Julia and his two sons. Steve spent his working life as a lecturer in Politics at Sheffield University. He was also an active member and great follower Cuban and South American politics – here is a tribute piece by Rob Miller, director of the Cuba Solidarity Campaign. 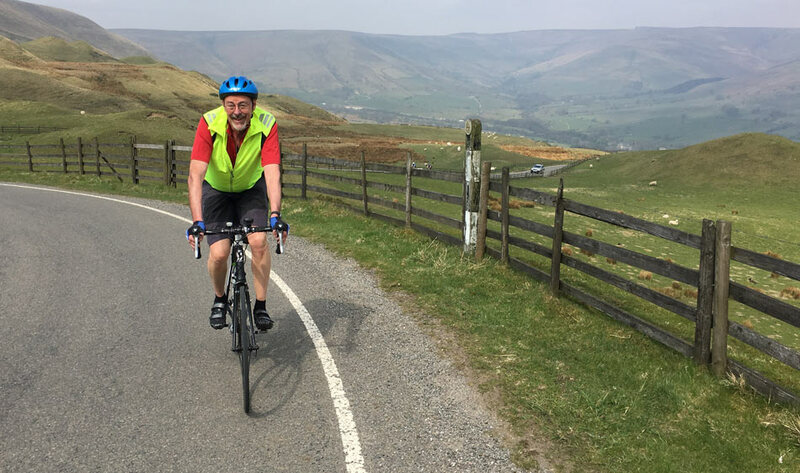 From a personal point of view, I had the great pleasure of riding next to Steve for a large section of the ride this year and we had a wide ranging conversation which included him telling me about his plan to cycle to all the Wednesday away games – an activity which combined two of his great loves. Steve will be sadly missed.